Although Harlem, New York rapper A$AP Rocky’s At. Long. Last. A$AP album has dropped from the #1 spot on the Billboard Hot 200, the album serves as the only Hip Hop album in the Top 10 this week. 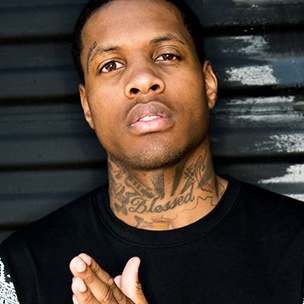 With his first studio album, Remember My Name, released just last week, Chicago lyricist Lil Durk has managed to obtain the #14 spot on the chart. Crooner Jason Derulo also put forth a strong debut this week, with more than 20,000 albums sold. After releasing a slew of mixtapes, Lil Durk released his debut album, Remember My Name, last week. Released on June 2, the album features guest appearances from Logic and Jeremih, and went on to sell just under 24,000 units this week. With the release of his Everything Is 4 album, Miami-born crooner Jason Derulo beat out fellow singer Ed Sheeran to obtain the #4 spot on the Billboard Hot 200. The album moved 21,520 units this week and had a stream activity of just under 6 million. Boosie Badazz fell several spots this week, landing at #22 with his album, Touch Down To Cause Hell. The fall serves as a dramatic drop from last week, which found Boosie at #3 with nearly 60,000 albums sold.